Today i was visiting a hobby Cake maker in Glenfarg near Perth who is breaking into the Market place with her Celebration Cakes from Home. Leigh started out experimenting with her own creations about a decade ago and learns most of her trade from fantastic old fashioned recipe books ( Just like myself ) Some of the books date back to pre-war and quite honestly those were the days when the recipes were the best . The market place then was not saturated by millions of would be Bakers/Novelists/celebrities trying to make a fast buck by producing a recipe book. It was genuinely easy , simple and non - expensive recipes by true professionals like Mary Berry and the Womens institute and even " Bero " that actually knew what they were talking about and the recipes worked . Anyhow i digress , it was great to see these books in Leighs repertoire . When i arrived at Leigh's Home i was greeted by one of the biggest dogs i have ever seen and then i cautiously entered once advised this was a gentle giant . Once my doorman was ushered into another room , i was met by a beautifully laid table fit for a king , just like a Victorian Tea party were my initial thoughts. The china was rolled out and the old fashioned serving cutlery didnt go unoticed either. Just lovely !. Sadly i am not a tea drinker or coffee drinker so Leigh's efforts were wasted on me ( But not the initial impression or effort that went in to this display ) . After a lengthy chinwag about the good old days and swapping recipe ideas we started on the feast in front of us. Leigh doesnt make or sell different types of Baking but concentrates on making and selling Celebration cakes as this is where her interest lies and i was so sad to have to cut into one of her lovely looking Madeira , fondant iced and decorated cakes . It was just as a Madeira cake should taste and was the perfect sponge for a decorated cake. Leigh is experimenting with her own flower decorations and these were truly magnificent too. I had a sample of her Rich fruit cake which she also uses for her Cakes and this was as moist as you can get - no peel which i dislike so it suited me down to the ground. A pavlova and some old fashioned macaroons along with some bite sized scones were also on display and it is evident that Leigh can bake . Anyone wondering if the Celebration cake looks and tastes good would not go far wrong with this lady . All the best in your new venture Leigh. The 4th June 2016 was a stunniningly warm day in the Perthshire countryside and my Arrival at the quirky winery in Errol was met by floods of happy tourists visiting the Winery. I absolutely love this place and you could be forgiven for thinking you were in cornwall or devon especially when the sun shines as it did today . This was my second visit to "Alibob" as the husband and wife team are affectionately known, and i was delighted to be back. Ali has a great menu using all local produce and this cafe is lovingly run with attention to personal detail at every turn. As i keep saying to those that listen , Everybody has jumped on the Homebaking bandwagon these days and everywhere you go people and premises are advertising Homebaked goods. Let me explain as best i can - Just because you are advertising homebaked goods does not mean it is better or excellent . Ali is the exception to this rule . The last time i visited Ali Abercrombie ("Baker Extraordinaire" ) her Cafe inside Cairn o Mohr winery was a new venture and she was a quite gifted baker then , but this visit tells me this lady is not just someone who bakes for a living but somebody who has a natural talent. Not only can Ali bake exceptionally well but she is humble and not in the least bit interested in blowing her own trumpet ( Love this woman just for that alone) . Anyhow less of the admiration and more about the Cakes . I was treated one by one, to some of the best Baking i have tasted this year - A truly brilliant , mouthwatering Lemon, Raspberry and Pomegranate Cheesecake . Every flavour was evident as you bit into the thin buttery base and then you were hit with the tangy lemon, raspberry mousse type filling and a wee burst of Pomegranate at the end. What made this even more exceptional for me was this was a gluten free cheesecake and baked !! I had Banana and Pecan loaf , Ginger and fruit punch scones , Raspberry and Chocolate Cake and raspberry Bakewell ( When you live in the Berry growing capital of the world then use the produce at every turn i say ! ) Anyhow i digress - The BEST Cheese scones i have ever tasted still exist at Ali,s Place and i can vouch for this today . Ali you are a truly fabulous , talented baker who doesnt know how good she is - Dont change a thing and i will be back next year singing your praises again. 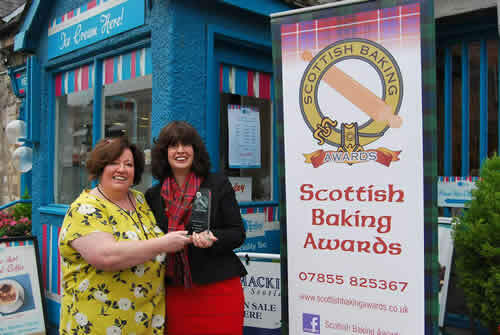 Remember folks - If they haven't got the Scottish Baking Award then its just not Great Baking !! Another gorgeous day for Scotland and my drive to Blairgowrie was simply breathtaking through thePerthshire countryside. Blairgowrie is a small town north of Perth City and has many individual small shops great for browsing around. My destination was to the Wee Coffee Shop in Allan street and the lovely Anne-Marie . 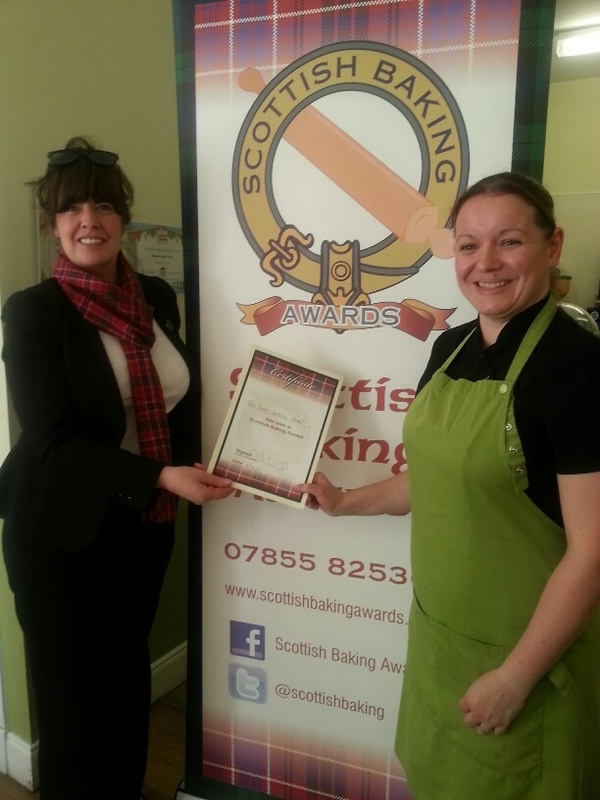 Anne -Marie has run this shop for about 4 years and has always been a keen baker . Great atmosphere , great staff here and a lovely welcoming , non pretentious feel about this wee coffee shop. Anne -Marie welcomed me rather nervously with a steady offering of home made cakes all made on her premises by a few different bakers. Each take their own favourites to bake which make for a varied display . I tried a new one on me, which seems to be a favourite ingredient of late ,and that was - Parsnip, Apple and Syrup cake . A very unusual texture but a deliciously light and airy cake full of flavour. The iced gingerbread and theFruit slice both reminded me of the way my gran used to bake and took me back to a warm fuzzy place in a kitchen many moons ago. I loved the way the fruit filling was not taken from a jar but mixed and blended from seperate fruits to create her own fruit filling. A lovely slice . My favourite by far was the original recipe of Almond , Orange and sherry tart - lovely and boozy and full of flavour . This is a great little shop for home made cakes which are all baked here at this little kitchen . If in the area i would certainly recommend a visit . Today, on route to The Highlands for a few days, i had an Assessment in beautiful Pitlochry . Pitlochry is not far from Perth and is a lovely tourist stop for a lot of reasons ,not least the best wee Tearoom for miles around. Hetties Tearoom is the brainchild of hard working mum Clare Pinchbeck . I know this Tearoom well and am constantly amazed at its constant evolving and keeping up with the new trends and tastes . Today was no different . On entering ,this Tearoom is packed to the brim with tourists and my table led me passed some wonderful cakes which i couldnt wait to sample. Manager Nicola introduced herself and promptly brought me every conceivable Cake,Biscuit,Scone and traybake in the shop - wow. !!!! If its choice you want then look no further as Hetties has it all , even a wide range of Gluten free cakes . I could not possibly list all the cakes i tried here as i have no room but i will mention the few that i thought were different and amazing. I am no lover of the humble Cupcake/Muffin as they are old hat and everyone now thinks they can bake if they can make a cupcake , but this Muffin was different - A Chocolate Orange Muffin. Where do i begin . A deep orange colour and a strong orange flavour with not just standard chocolate chips which show no skill, but soft chocolate oozing out of the middle and top . Crunchy chocolate pieces on the top and this is Brilliant. Loved it ! My next favourite ( and there were many believe me ) was the Coffee cake which was not only the best flavour of coffee i have tasted in a coffee cake but expertly served with a shot of black espresso - genius !! The Dark black Chocolate cake was as moist as you could want in a chocolate cake ,and i was in heaven until i was brought the most beautiful cup and saucer ( Bone china old style ) and the best pouring teapot i have used in a tearoom. Hettis have their own fine loose teas exclusively made for them and i have to say the difference is unbelievable . I can honestly say you can believe all the hype about this little quaint Tearoom in the middle of the Scottish countryside as its just fab ! See you again soon Clare and all the staff at Hetties. Todays visit was a lengthy one at The Scottish Antique and Arts Centre in Abernyte . This is an unassuming looking building from the outside - until you get inside and wow!! If you are a collecter of Antiques or Fine and Modern Art ,then this place will be right up your street . If you are planning a visit then set aside a day as you will be fed during your stay by the friendly , bright and airy - Cafe Circa inside this Centre. I have never seen quite so many Antiques in the one place in all my life . It was a great few hours and i wished i had more time to browse. Anyhow i digress - Cafe Circas is located inside The Scottish Antiques and Arts Centee and is a welcome break for most food , but my interest was Michelle and her Baked cakes . Michelle is the in-house Baker here at the Centre and she certainly takes a pride in her Bakes as she is constantly striving to creat different types of baking. This was proven by the samples i had to taste. For example i had a caramel shortcake which was excellent quite simply for the addition of caramac chocolate swirled through two differnt types of chocolate . I also had a Carrot cake ( Michelles own recipe ) with a great invention of a crunchy brown sugar topping . 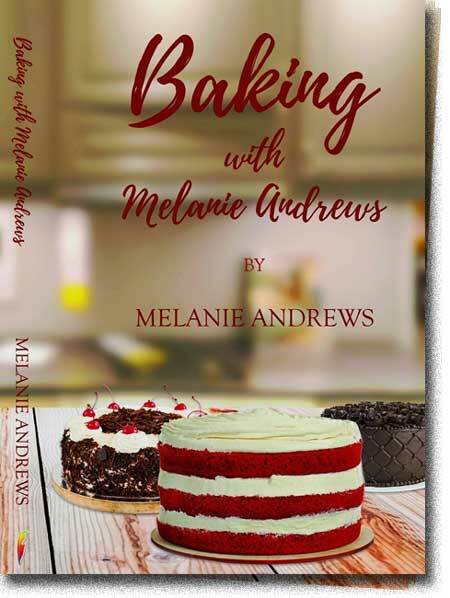 When you are creative like this with traditional Baking it can be risky , but my experience with Michelles creativity was an extremely positive one. If you are looking for a great day out and would like some excellent food and even better baking in and around Perth/Dundee area then look no further folks . I will be back soon Michelle ( With more time to spare ) . Slainte .
. The Chocolate Bread was truly exceptional along with absolutely everything else i greedily tasted. My memories of Bologna and Amalfi came flooding back and i could taste the Parma Ham and Mozzarella as if i was back in the Italian sunshine. Ah i digress and back to earth with a bump when Max the proud owner offers a Semolina Bread for me to taste - i love tasting different styles of breads and this was a must . I will haste me back Max very soon for your lovely breads once again. Off to bonny Perthshire today and first on our list was - AliBob @ Cairn O Mhor . 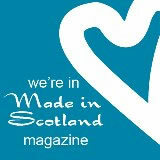 This Cafe is set within the rolling perthshire fields and within the well established Cairn o Mhor winery. On entering this winery you are greeted by an eccentricity and originality this is rarely seen these days . Absolutely unique wood carvings all over the grounds with beautiful brightly coloured, almost gaelic signage lets you know this is no ordinary Winery . This almost woodstock community feel, was intoxicating compared to the normal hum drum uniformity of every other premises and shop you see nowadays. Being the same as the "Crowd " is not what this amazing place is all about and wow the best was yet to come in the form of bubbly and most likeable chef/baker/ proprietor of Cairn o Mhor cafe- Ali . I was treated to the most amaxing Baking , such as light and airy Raspberry Cheesecake, Iced Gingerbread, Lemon and poppyseed cake and " The Steamin Scone" . Most of the scones are made with the winery fruit wines except the Cheese Scones. Whilst on the subject of Cheese Scones folks - Quite simply the Best Cheese scone i have ever eaten . The freegan Flapjack was exceptionally good also and the recipe was requested it was that good. Dairy free and Gluten free but devine. If you are looking for great food, great atmosphere, great Baking and great hosts with some time on your hands to take in this "Strange Scottish Winery " then look no further . I loved loved loved this place.